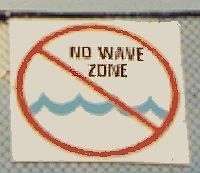 This is a picture of the No Wave Zone sign at Midway Stadium in St. Paul, Minnesota where the St. Paul Saints, an American Association independent league team, plays. No other ballpark is “officially” a “No Wave Zone.” Those who try to start “The Wave” will be chastised by Eric Webster on the PA system. 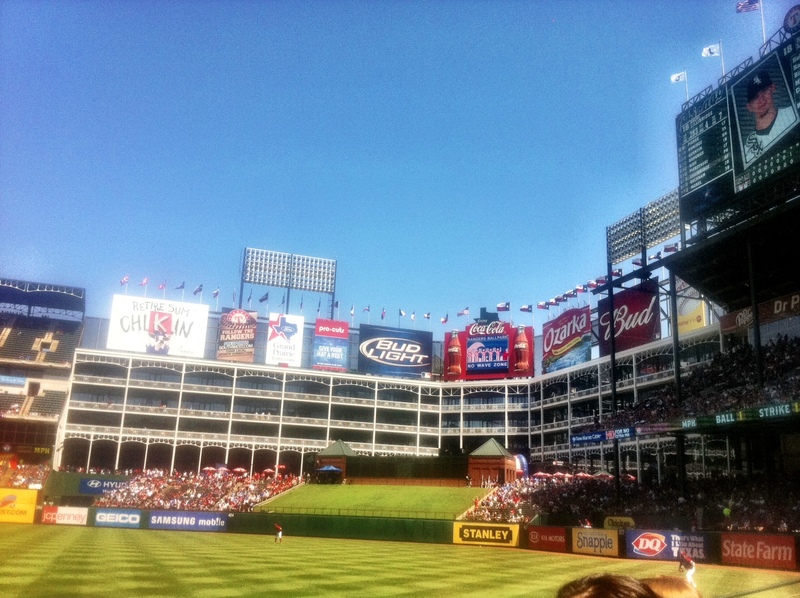 The next time you are out at Rangers Ballpark and someone a few sections over is trying to start the wave at a critical moment don’t worry, help should be on the way. 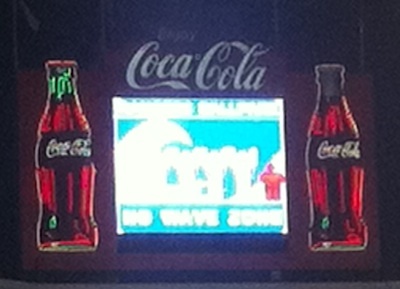 Rangers PA and game presentation guru Chuck Morgan has recently started putting a No Wave Zone sign up on the centerfield scoreboard when a wave is trying to form at important parts of the game. And the really cool part? It’s working. Tonight was the third time the sign has been used at a game I’ve been at and every time the section that is trying to annoy everyone in the ballpark stops what they’re doing. It just goes to show that the fans here in DFW can get through a game without doing a wave, they just need to be prodded a little bit until they learn when it’s not appropriate. 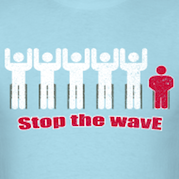 The other cool thing about this sign is that it is using a graphic I came up with three years ago when I started the Stop The Wave movement. To see it in a big league ballpark actually stopping people from doing the wave is pretty rewarding. I owe a big thank you to Chuck for taking up this cause and helping educate the people that go to Rangers games how to be good fans. And Chuck reaching out to fans to help him do it is just icing on the cake. 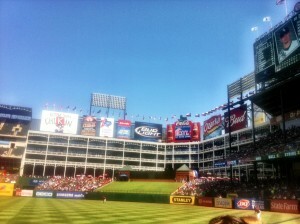 It would be great if this sign isn’t needed during Rangers games by the end of the season. Until then, it’s good to know someone that can make a difference has our back.